ExLing 2019 administration has booked rooms in Vila Nova Guesthouse, which is a typical 19th Lisbon building. It is centrally located, meters away from the Marquês de Pombal square and within walking distance to the historic centre. The rooms in Vila Nova Guesthouse are booked for the dates 24-28 September 2019. The majority of rooms, either standard or superior, have a double bed whereas there are a few single rooms with a single bed as well as a few superior twin rooms with two single beds and one single sofa bed. The ExLing secretariat will coordinate the booking process in accordance with the timing of submitted bookings up to full hotel booking. The rates are per room except for the twin rooms which may be booked per person. 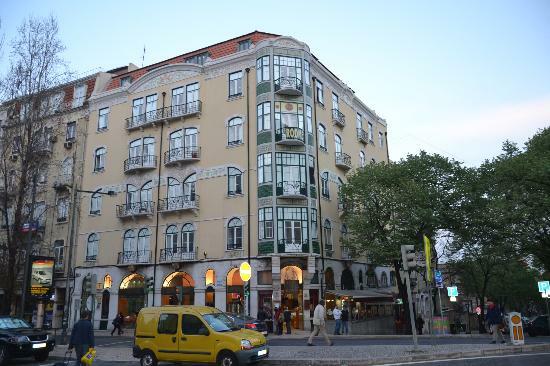 Additional rooms are booked at the Turim Europa Hotel, which is also close to Marquês de Pombal square. The University venue is within 15 minutes reach from the Marquês de Pombal square by city metro. Hotel bookings do not include breakfast and ExLing 2019 participants are invited to enjoy breakfast on the ground floor of the Vila Nova hotel traditional pastry shop Balcao do Marques.